Have you been looking for a roomy SUV with third row seating and stellar luxury features? 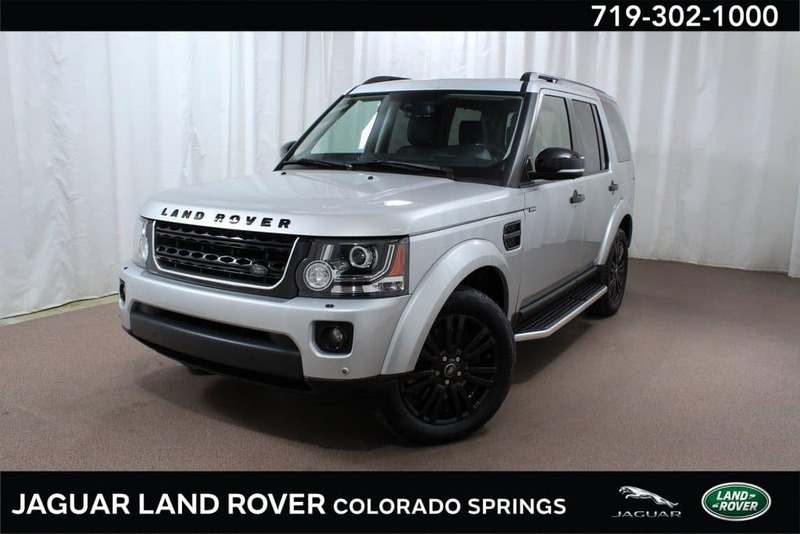 Land Rover Colorado Springs has the perfect vehicle for you; a stunning pre-owned 2016 Land Rover LR4 HSE! This gently-used, CarFAX One-Owner LR4 is extremely capable, whether exploring mountain trails or completing your daily commute. The powerful 340HP 3.0L supercharged V6 engine, paired with an efficient 8-speed automatic transmission, make this a fun vehicle to drive! Enjoy best-in-class standard and premium features including the Black Design Pack featuring sleek black accents and wheels, premium Meridian audio system, surround camera system, heated door mirrors, convenient Tow Package, a moonroof over each seating row, brake assist, Ebony Cargo Cover Pack, Vision Assist Package, SiriusXM satellite radio and much more! Priced at the low Land Rover Colorado Springs price of only $45,489, this extremely clean 2016 Land Rover LR4 HSE is a great vehicle at a great price! Stop in for your test drive today!